Couple of weeks back I was wandering in my farm with my camera. 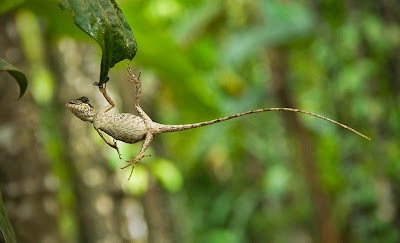 Suddenly a lizard(forest calotous?) jumped on me. Both me and lizard were shocked to see each other. Lizard made another jump. But it failed to catch the tree and stuck to a leaf. 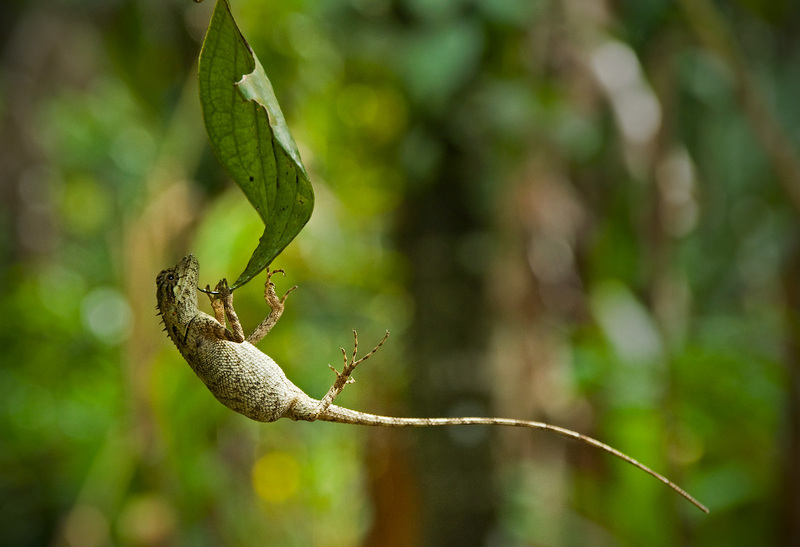 It was amazing to see how that succeeded to hold the leaf with only fingers, that too keeping it's body parallel to the ground. 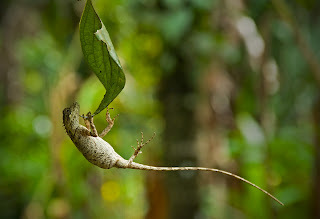 It did hold the leaf like this more than 10 minutes and after that slowly tried to climb the leaf. It easily did that and disappeared.Nature never stops to amaze. A ballet dancer! What balance and concentration! Such sights are missed by many. Kudos to you!